Today is the day – May 19th, FIT NHB (Fighters In Training, No Holds Barred) celebrates their twentieth year of existence as an entity within the combat sport’s world. 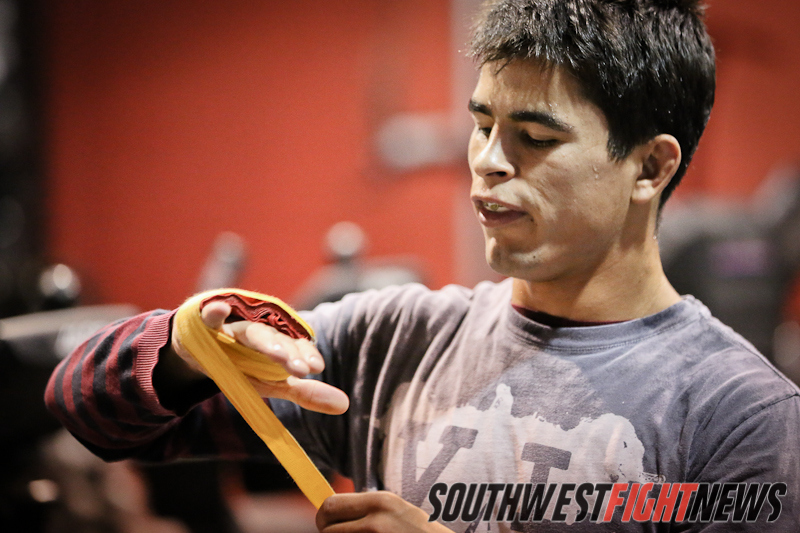 Not just a unique acronym, the lauded gym has been quintessential to the development and evolution of mixed martial arts in the State of New Mexico and the Southwest region. When FIT NHB announced via social media that they’d be celebrating their 20th year, it piqued the interest of Southwest Fight News to become fans for a while and take a drive down memory lane to commemorate FIT NHB as experienced by the individual who stood at ground zero building the gym from the first brick – Head Coach and Co-Owner Tom Vaughn. We went through chapter after chapter of how it all came to be and speaking personally, it has been nothing short of incredible to learn the behind-the-scenes history of a gym so pivotal to where the local fight game is today. Tom Vaughn spent quite a bit of his content to commemorate individuals and show his appreciation for all the success he has experienced along the path. I felt it would be fair to turn the tables a bit and allow some of his most notable athletes to commemorate he and Arlene with their own stories and memories from their experiences being coached by the duo at FIT NHB. Pictured: Jon, Tom, Tim Means, Brenda Gonzales at the RFA show in Albuquerque. 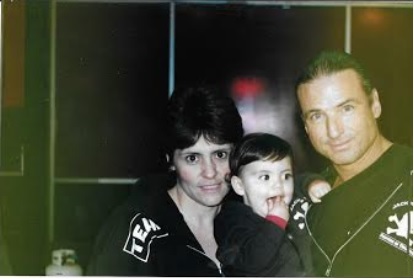 “I first met Arlene in 2009 when I first stepped foot in the gym. I remember being very nervous, because I had never boxed or really thrown a punch period. She was teaching class which made it a little easier to jump in and try it out, because she was a female. I’d played sports all my life and been in the weight room, but the workout she put us through was like no other! She was up front from the get go and always had a military tone to her. I was hooked, challenged, and wanted more and more! I’ve gotten to travel the world seeing close to 30 different places with her. I love how strong-willed Ar is, she definitely has made me dig deep in finding confidence in myself. No one has ever made fun of me or pointed out my mistakes more than she has!! Getting a compliment from Arlene on your fighting is one of the best things you could ever hear, ask ANY of my teammates. It’s an honor to have had her in my corner for all 17 of my pro fights. We have definitely shared lots of stories and laughs and have built a good relationship. Pictured: One of FIT NHB’s most successful professional athletes, Frank Baca. Pictured: From an earlier entry in this series well worth a re-visit. Tom and Arlene with their daughter, Jessie. “When I was just an amateur I had taken a short notice fight and had to fly for the first time within a day I believe. It was just Tom and I who had went, and it was all the way up in Wisconsin. You can say it was a long ways from home but it was a great opportunity and full of a lot of new experiences for me. I remember the talks prior and after the fight. At that moment I knew I had the right person in my corner that actually cares and has my back. That’s a great quality to have in a person and coach. Check out the entire series of “Celebrating 20 Years of FIT NHB” by Clicking Here.